Need a space that's big and beautiful yet functional, right away? Have no fear, Breather is here! 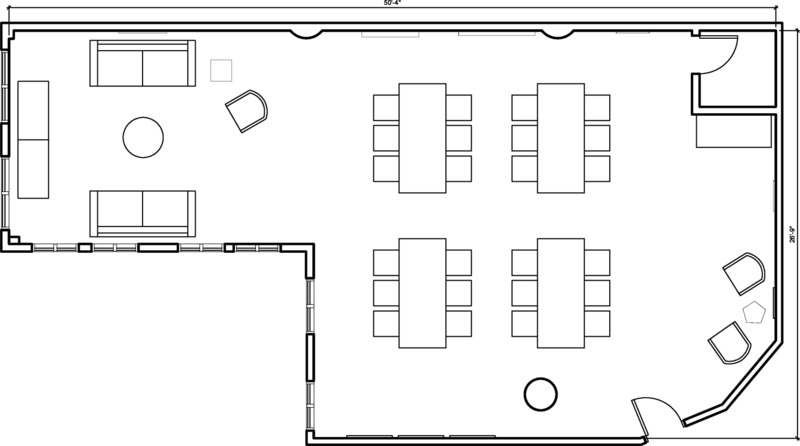 This large industrial space offers 4 tables with seating for 24, as well as a large and comfy lounge area to have a breakout brainstorm. Some decorative items such as the rug are no longer in the space.